Hello my friends!! I wanted to share with you some fantastic news!!! As of today the Project Panda adoption fund passed the $4000.00 point with an exact total of $4175.00!!! Woooooo Hooooooo. Thank you all so much for all your support , bids, and purchases of pendants and Graffiti Jewelry. This is so incredible I can hardly believe it!! 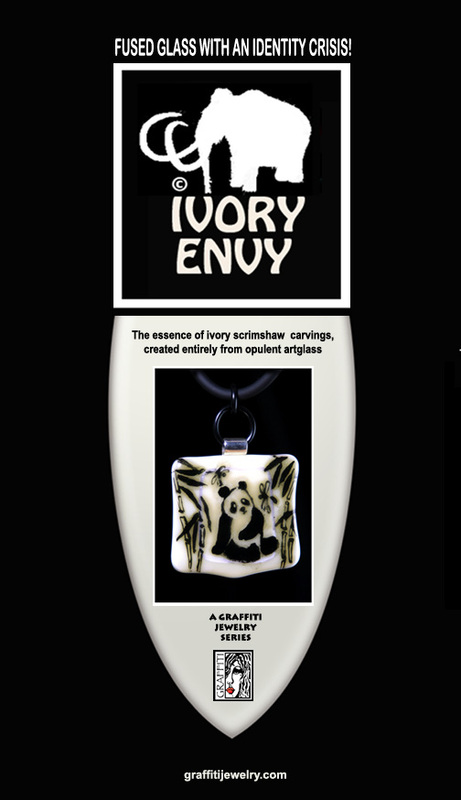 To celebrate I am going to run an auction on the blog for this beautiful panda pendant you see below!!! and the time stamp from the actual comment. BIDDING IS CLOSED>>THANK YOU EVERYONE!! .. BEFORE or EXACTLY 7:00 pm Pacific time zone…. I accept PAYPAL or a personal check from U.S. Shipping will be Free anywhere in the world! The winner will received matching earrings as well as a special presentation box for this beauty. The glass portion of the pendant measures about 1 3/4″ wide…little panna is surrounded by bamboo and wee dragonflies! Less than 2000.00 left to go!! Yippie! PLEASE PLACE YOUR BID IN THE COMMENT BOX AND THEN CLICK SUBMIT COMMENT. THE SYSTEM SENDS ME YOUR EMAIL ADDRESS WHEN YOU BID SINCE YOU ARE REGISTERED TO COMMENT.